There is nothing like flowers arranged with delicacy into a lovely floral decoration. 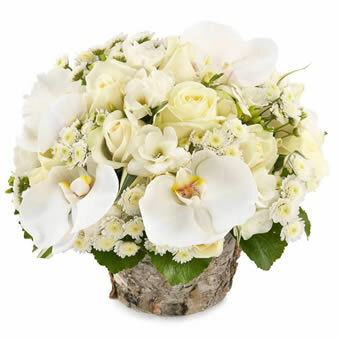 This arrangement with a variety of white flowers will fit nicely into every home and into every heart. Coming in an awesome bark basket.